I have found the crown jewel of many kitchens is the application of tile and mosaics. 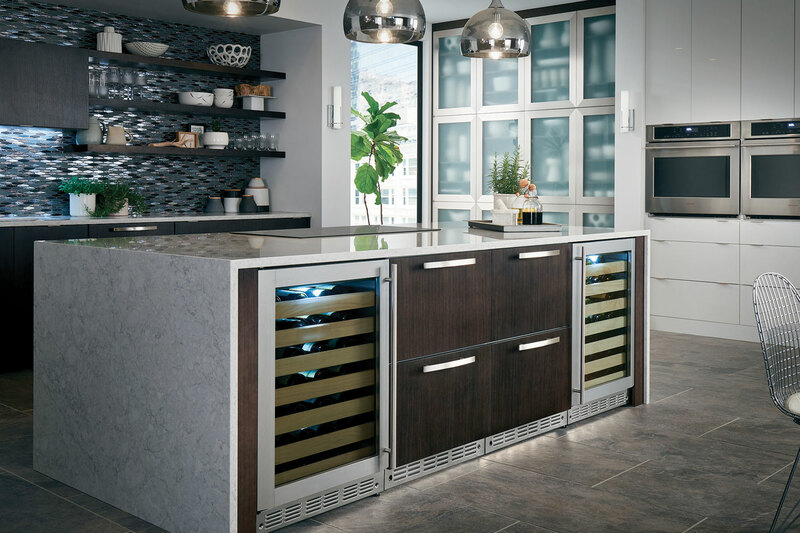 Stone, ceramic, metal or glass tile … I love them all! This fascination started about eight years ago and grew into a hobby which, although still a novice, has made me truly appreciate mosaic artists and their creations. Even more intriguing to me are the old cathedrals and mosques with their elaborate mosaics. 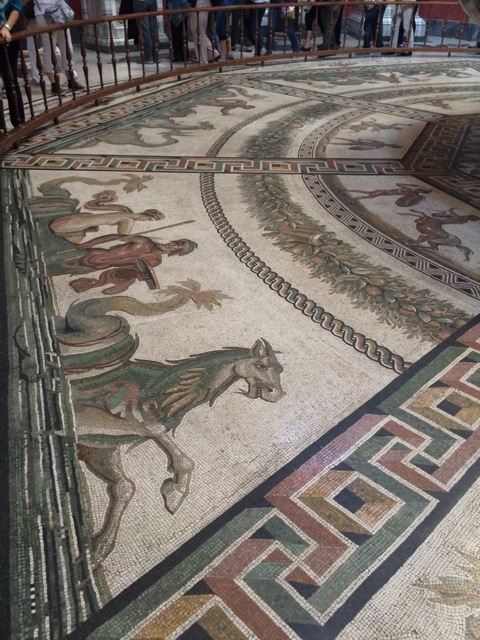 On a recent trip to Italy, I was able to see beautiful medieval mosaic art as I darted in and out of Rome, Siena, and Florence. 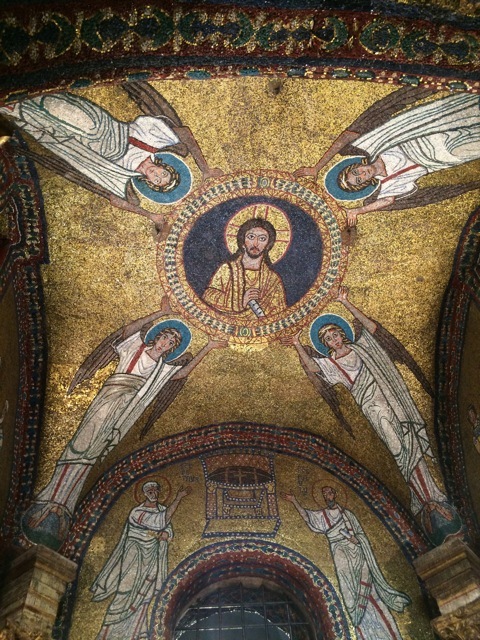 Although I did not visit the renowned city of Ravenna (maybe next time), I was able to view the most beautiful mosaics I have ever seen. 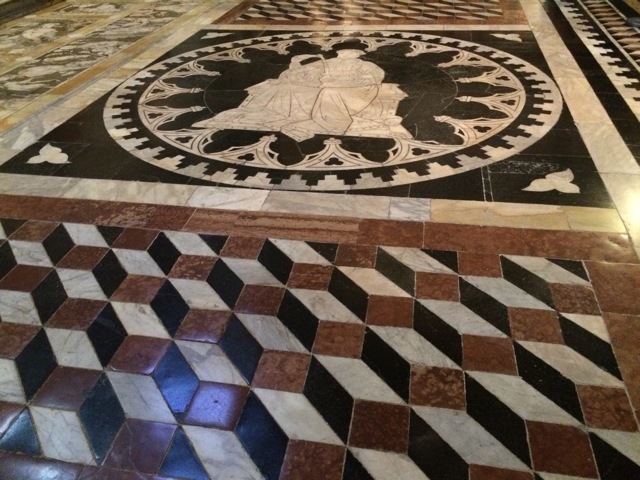 Doumo di Siena. 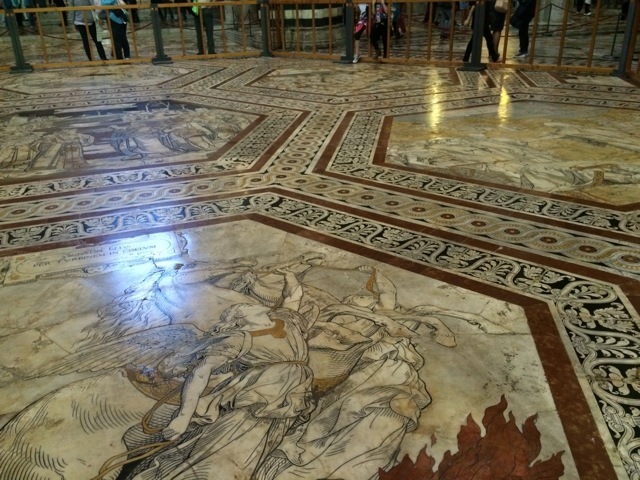 The mosaic floors are covered for 10 months of the year, but a friend pointed out that we would be there during the unveiling. Fantastic! Battistero di San Giovanni in Florence. 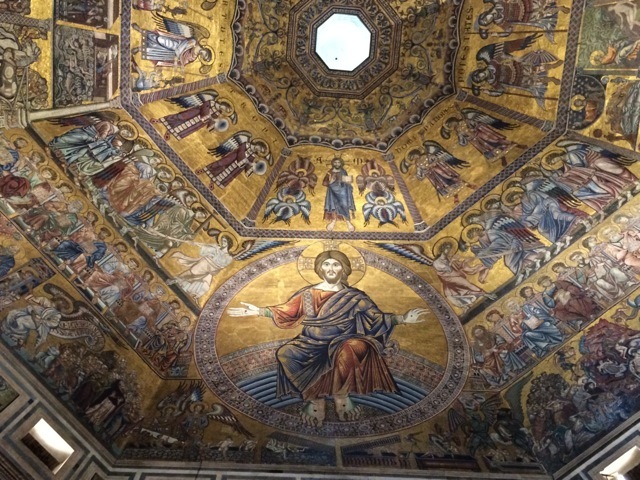 This baptistery has a mosaic ceiling dating back to 1225 depicting many stories of the Bible. Absolutely jaw dropping!